When tennis star Serena Williams was unfairly docked a point by the umpire in the final moments of the 2018 U.S. Open, she did what any athlete would do — she argued back. In tennis, "coaching penalties" like the one Williams received are approximate to accusations of cheating and Williams was rightfully upset. She protested the violation and asked for an apology from the umpire, Carlos Ramos — calling him a "thief." The umpire then gave the game point to her opponent and Serena Williams was fined an outrageous sum — $17,000 — for what he called "verbal abuse." This unjust and sexist penalty is beyond ridiculous. 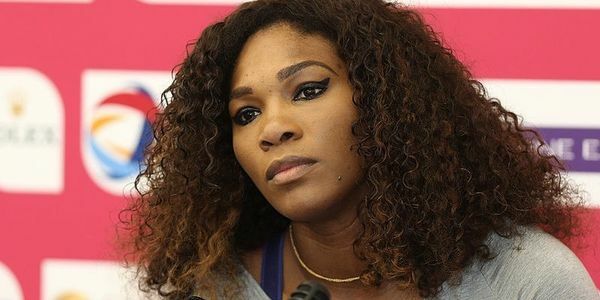 Sign and share my petition calling for the fines against Serena Williams to be revoked — with a sincere apology from U.S. Open officials. Serena William is one of the greatest athletes in history. She has record-breaking Grand Slam titles and multiple Olympic medals to her name. But despite her amazing legacy, Williams is continually treated unfairly by the tennis establishment through unjust regulations, over-the-top scrutiny, and sexist and racist body-policing. Serena Williams is proudly and unapologetically female and Black in a space historically reserved for white men — and we love her for it. But the tennis establishment seems to disagree, seemingly going out of its way to unfairly target and police her. Williams has been drug tested TWICE as much as any other athlete in her field and after wowing spectators at the French Open (just one year after giving birth to her daughter! ), the French Tennis Federation banned clothing like the black "catsuit" she wore to prevent blood clots. These are nothing but sexist excuses and this latest example around Williams' outrageous "verbal abuse" penalty is the last straw. Sports trailblazer Billie Jean-King also pointed out the double standard in sports, tweeting, "When a woman is emotional, she's 'hysterical' and she's penalized for it. When a man does the same, he's 'outspoken' and there are no repercussions." Throughout tennis history, many male tennis players have had much more threatening and offensive blow-ups — often without any penalty. Male stars like Andre Agassi (who once spat on an umpire during the 1990 U.S. Open) or John McEnroe (widely parodied for his angry on-court tantrums) were permitted — and even celebrated — when they acted aggressively during a match. But the rules seem to be different for female athletes like Serena Williams. Enough is enough. Sign my petition to fight back against sexism in tennis — tell the U.S. Open to apologize to Serena Williams and drop her unjust $17,000 fine! And, please keep fighting, Serena. We're with you!